A Lockback knife is built for safety. Opening the blade on a Lockback knife causes the "rocker" to lock against the blade, locking it open for ultimate security. Locking systems are essential for folding knives because they prevent the knife from closing on your hand during use. 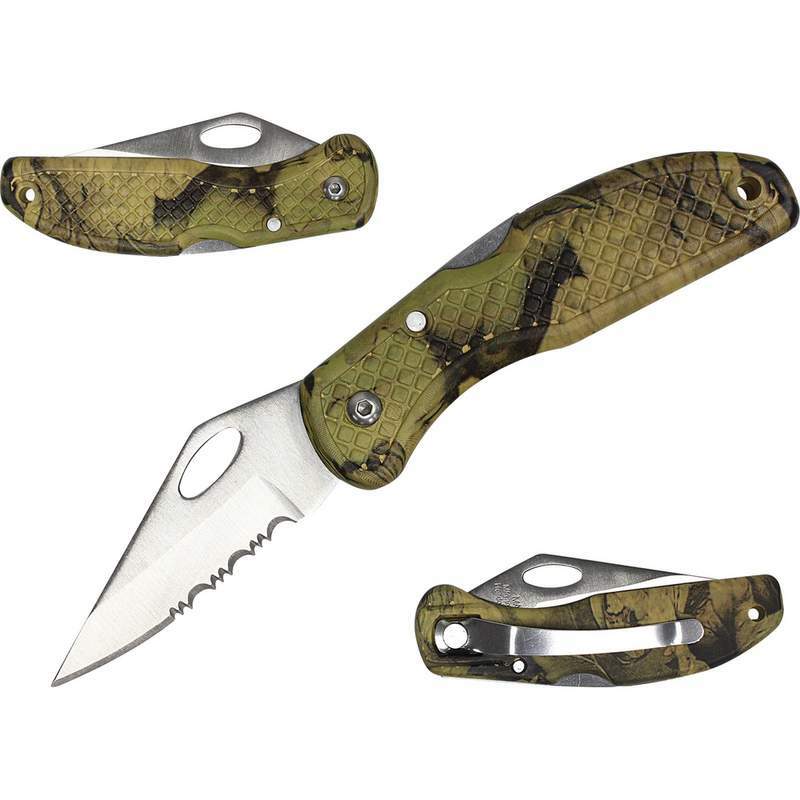 The MAXAM® 4" Lockback knife with camo handle was constructed with you in mind. Built for outstanding performance during camping, fishing, and hiking activities. The half-serrated blade can handle all cutting needs, with a handy oval hole on the blade instead of the usual, plastic thumb stud. The metal belt clip on the back side allows for easy carry and quick access. Featuring hex screw rivet.